Sweden is ranked as one of the most innovative countries in the world. 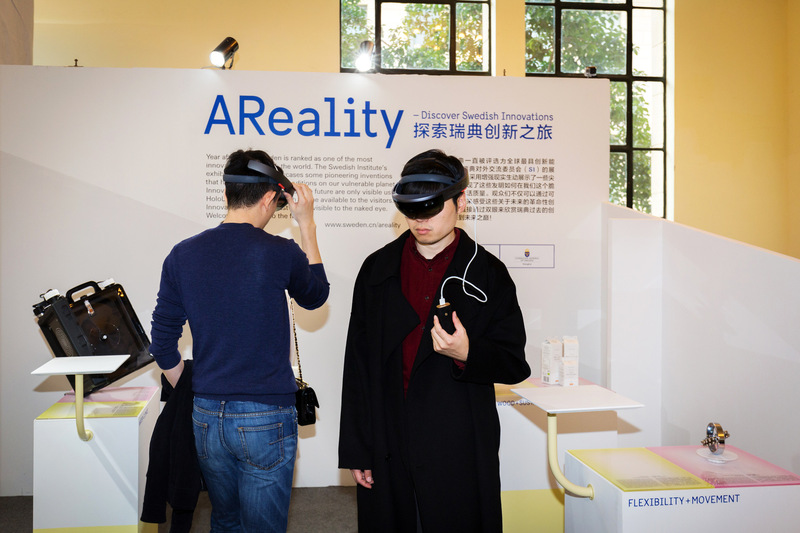 The exhibition AReality takes a novel approach to exhibiting innovations and invites the visitors to peak into the future. The Swedish Institute’s exhibition AReality showcases some pioneering inventions that help improve living conditions on our vulnerable planet. Innovations that revolutionise the future are only visible using HoloLens technology, which are available to the visitors. Innovations from the past will be visible to the naked eye. Some of the innovations showcased are Cellink, a bio-tech company that invented the revolutionary bio printer BIO X and the world’s first universal bio-ink, a hydrogel bio¬material mixed with human cells. Today, Cellink’s products are used by life science companies and bio-scientists. Tomorrow, bio-fabrication of organs and tissues may be standard medical practice. Orbital Systems is a shower system that saves up to 90 per cent in water usage. Invented for space, Orbital can make a huge impact on Earth by conserving our most precious resource – water. The exhibition is curated by Salka Hallström Bornold and Bo Madestrand from Form, and has been on show at Design Shanghai in March 2017 and at Digital Enterprise Show (DES), Madrid, in May 2017.